Item 3.01Notice of Delisting or Failure to Satisfy a Continued Listing Rule or Standard; Transfer of Listing; Item 8.01 Other Events. On January 11, 2019, Hovnanian Enterprises, Inc. (Hovnanian or the Company) announced that it will be requesting shareholder approval at its annual meeting on March 19, 2019 for amendments to its restated certificate of incorporation that will enable the Company to conduct a reverse stock split primarily in order to address the minimum average closing price criteria set forth in Section 802.01C of the New York Stock Exchanges (NYSE) Listed Company Manual (Section 802.01C). The details of the proposed reverse stock split are provided in the Companys preliminary proxy statement filed with the Securities and Exchange Commission (SEC) on January 11, 2019. 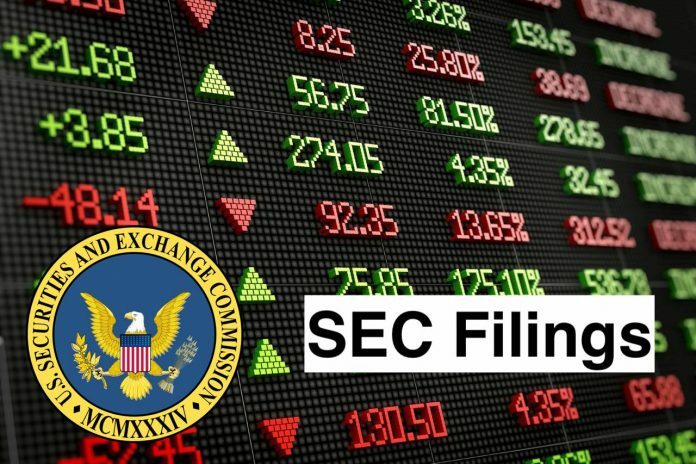 On January 9, 2019, Hovnanian received written notification from the NYSE that Hovnanian is not in compliance with the continued listing standard set forth in Section 802.01C because the average closing price of Hovnanians Class A common stock over the consecutive 30 trading-day period ended January 7, 2019 was $0.98, which is below the $1.00 minimum average closing price required by Rule 802.01C. Hovnanian has a period of six months from the date of the NYSE notification to regain compliance. At any time during the six-month cure period, Hovnanian can regain compliance if, on the last trading day of any calendar month during the cure period, the Companys Class A common stock has a closing share price of at least $1.00 per share and an average closing share price of at least $1.00 per share over the 30 trading-day period ending on the last trading day of that month. During this six-month period, Hovnanians shares will continue to be listed and traded on the NYSE, subject to Hovnanians compliance with other NYSE continued listing requirements. Hovnanian will notify the NYSE that it intends to cure the minimum average closing price deficiency during this six-month period. The NYSE notification does not relate to or affect any of the NYSEs other continued listing criteria, the ongoing business operations of Hovnanian, compliance with its debt instruments or its reporting requirements under the rules and regulations of the SEC. On January 11, 2019, the Company issued a press release announcing the receipt of the NYSE notification. A copy of the press release is attached hereto as Exhibit 99.1. Statements in this Current Report on Form 8-K that are not historical facts should be considered as Forward-Looking Statements within the meaning of the Safe Harbor provisions of the Private Securities Litigation Reform Act of 1995. Such statements involve known and unknown risks, uncertainties and other factors that may cause actual results, performance or achievements of the Company to be materially different from any future results, performance or achievements expressed or implied by the forward-looking statements. Such forward-looking statements include but are not limited to statements related to the Companys goals and expectations with respect to its financial results for future financial periods. Although we believe that our plans, intentions and expectations reflected in, or suggested by, such forward-looking statements are reasonable, we can give no assurance that such plans, intentions or expectations will be achieved. By their nature, forward-looking statements: (i) speak only as of the date they are made, (ii) are not guarantees of future performance or results and (iii) are subject to risks, uncertainties and assumptions that are difficult to predict or quantify. Therefore, actual results could differ materially and adversely from those forward-looking statements as a result of a variety of factors. Such risks, uncertainties and other factors include, but are not limited to, (1) changes in general and local economic, industry and business conditions and impacts of a significant homebuilding downturn; (2) adverse weather and other environmental conditions and natural disasters; (3) high leverage and restrictions on the Companys operations and activities imposed by the agreements governing the Companys outstanding indebtedness; (4) availability and terms of financing to the Company; (5) the Companys sources of liquidity; (6) changes in credit ratings; (7) the seasonality of the Companys business; (8) the availability and cost of suitable land and improved lots and sufficient liquidity to invest in such land and lots; (9) shortages in, and price fluctuations of, raw materials and labor; (10) reliance on, and the performance of, subcontractors; (11) regional and local economic factors, including dependency on certain sectors of the economy, and employment levels affecting home prices and sales activity in the markets where the Company builds homes; (12) fluctuations in interest rates and the availability of mortgage financing; (13) increases in cancellations of agreements of sale; (14) changes in tax laws affecting the after-tax costs of owning a home; (15) operations through unconsolidated joint ventures with third parties; (16) government regulation, including regulations concerning development of land, the home building, sales and customer financing processes, tax laws and the environment; (17) legal claims brought against us and not resolved in our favor, such as product liability litigation, warranty claims and claims made by mortgage investors; (18) levels of competition; (19) successful identification and integration of acquisitions; (20) significant influence of the Companys controlling stockholders; (21) availability of net operating loss carryforwards; (22) utility shortages and outages or rate fluctuations; (23) geopolitical risks, terrorist acts and other acts of war; (24) loss of key management personnel or failure to attract qualified personnel; (25) information technology failures and data security breaches; (26) negative publicity; and (27) certain risks, uncertainties and other factors described in detail in the Companys Annual Report on Form 10-K for the fiscal year ended October 31, 2018 and subsequent filings with the Securities and Exchange Commission. Except as otherwise required by applicable securities laws, we undertake no obligation to publicly update or revise any forward-looking statements, whether as a result of new information, future events, changed circumstances or any other reason. In connection with the proposed reverse stocksplit, Hovnanian is filing with the SEC a proxy statement, the definitive version of which will be sent to the shareholders of Hovnanian.Shareholders are urged to read the proxy statement (including any amendments or supplements) and other documents filed with the SEC carefully in their entirety when they becomeavailable because they will contain important information. Shareholderswill be able to obtainfree copies of the proxy statement (when available) and other documents filed with the SEC on the SECs web site at www.sec.gov.Freecopies of the proxy statement (whenavailable) and other documents filed with the SEC also can be obtained by directing a request to our Investor Relations department at 1-800-815-9680. Hovnanian and its directors and executive officers may be deemed to be participants in the solicitation of proxies in respect of the proposed reverse stock split. Additional information regarding the interests of those persons may be obtained by reading the definitive proxy statement when it becomes available.